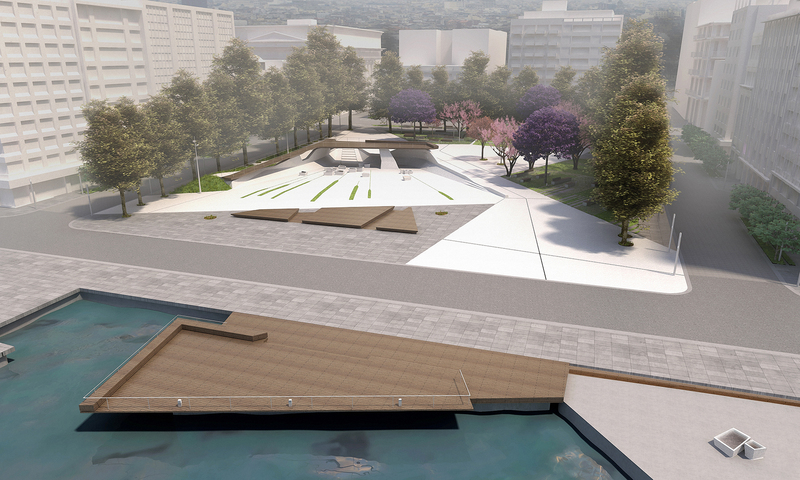 The basic intention of the proposal is to restore the character of Eleftheria’s Square as a gate of the historical center of Thessaloniki, which connects the harbor and the old waterfront with the commercial area. 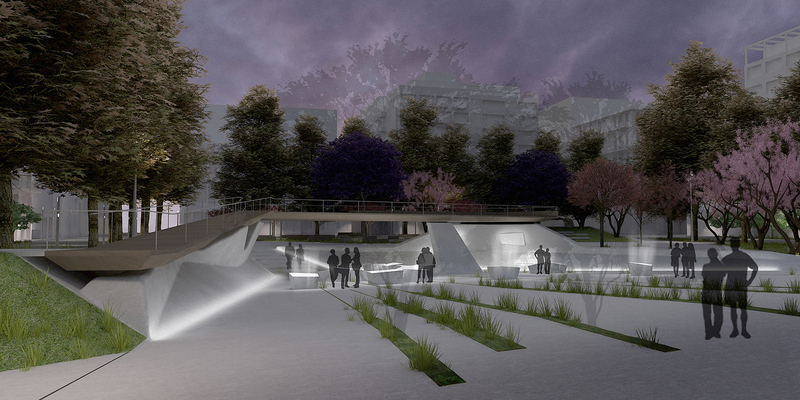 At the operational level, the intention is to create an open, interactive and multifunctional public space that the visitor experiences through various activities. 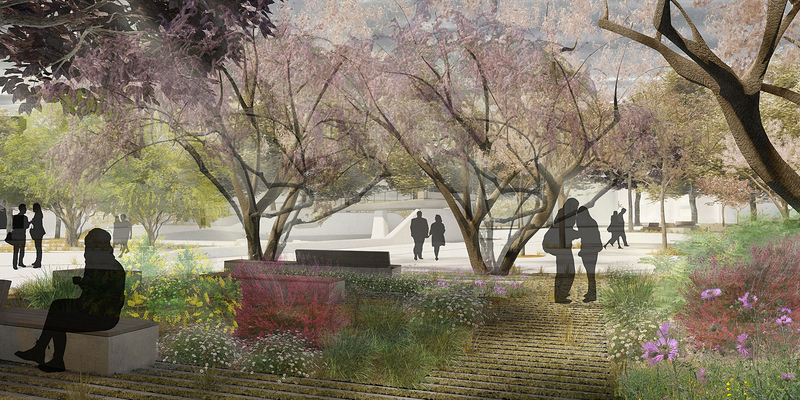 At the same time, the project foresees the reinforcement of the existing flora and its contribution to the creation of a unique atmosphere, that combines urbanity with high green levels. 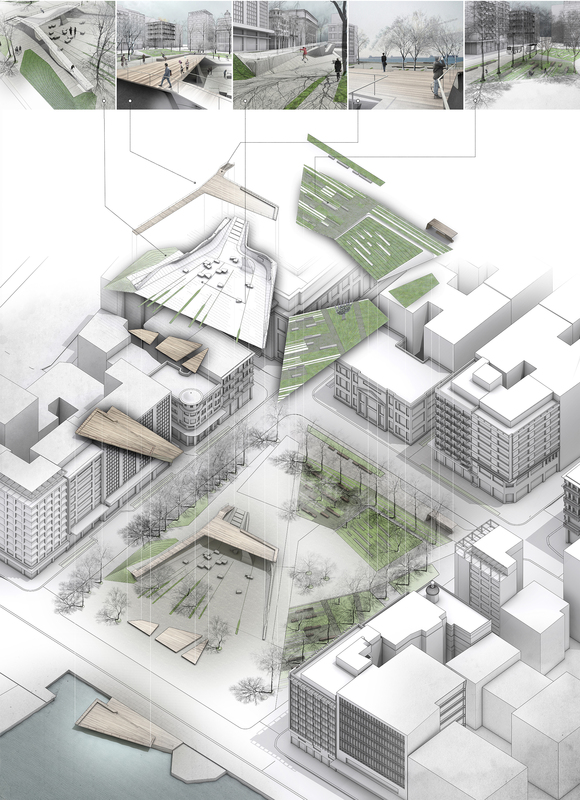 The intentions of the project include also the revitalization of the commercial activity, as well as the general morphological upgrading of the square, having as a key element the emphasizing of its historical value. 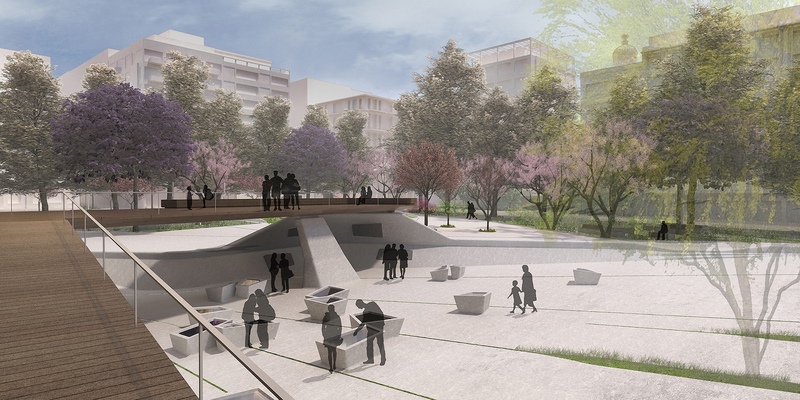 The objective is to create a high quality architectural environment that attracts visitors and residents of the city and acts as a landmark for the whole center of Thessaloniki. 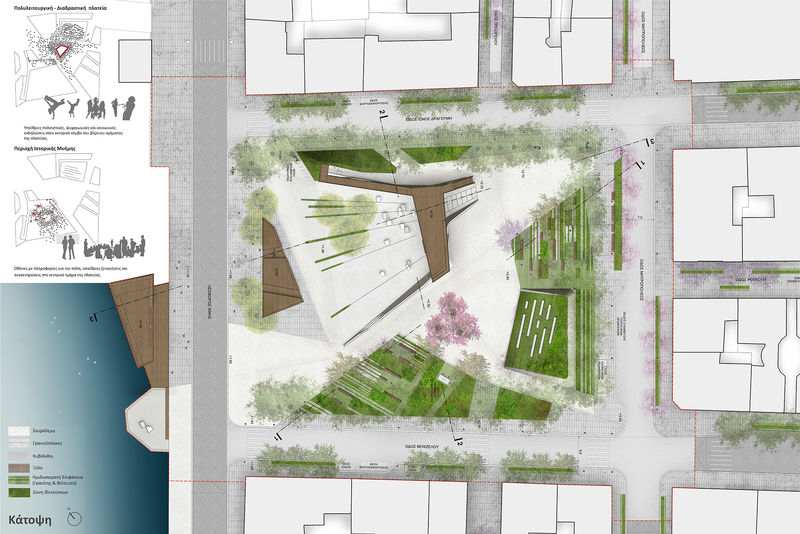 The main feature of the proposal is an open and flexible space, whose central element is a diagonal axis from the waterfront towards Dragoumi str. The axis acts as the gateway mentioned above, receiving most of the movements while dividing the square into 2 sub-areas that acquire a different character through their gradual development. The northern area, near Mitropoleos str. has more urban features, with pedestrian paths, meeting and sitting points and dense planting that protects and supports this character. The southern area highlights the historical value of the square, including information points, viewing points towards the sea and the surrounding area, and more private sitting areas.